So, as I’ve said before, it’s not just the Chinese who are eating the world to extinction – most of us are just as bad. And while the custom of eating shark fins is conspicuously destructive and therefore an easy target for moral indignation, we also need to look broadly at the damaging consequences of the modern Western diet. Meanwhile, on a happier note, the Convention on International Trade in Endangered Species (CITES) has blacklisted trade in five species of sharks, and manta rays. And, as the Guardian article mentions, there does seem to be evidence that eating shark’s fin is on the decline in China. Anecdotally, I’ve heard from countless people in the Chinese hospitality business that expensive dining-out has been hit hard by President Xi Jinping’s anti-corruption campaign, and that demand for luxurious delicacies is waning for this reason. 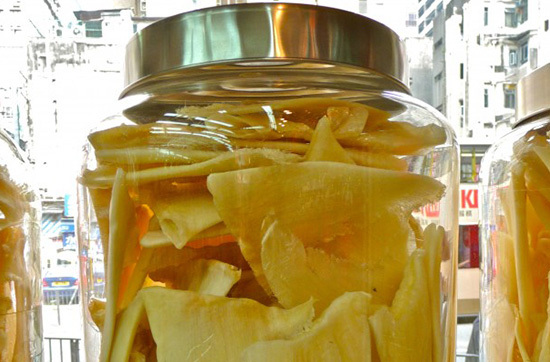 kill shark for fins,is traditional food habit of chinese , especially in guangdong province, at now, protect wild animal,it will be changed. It is sickening to see thousands of sharks left rotting, fins removed, in the sea and on beaches throughout northern Australia and the Pacific, including in Torres Strait and to the west and east, from illegal fishing for shark fin.